Utorch UT30 Smart Voice Control LED Ceiling Light 18W AC 220V - White 30CM w cenie $38.99 | Chińskie kupony rabatowe, zniżki i okazje! 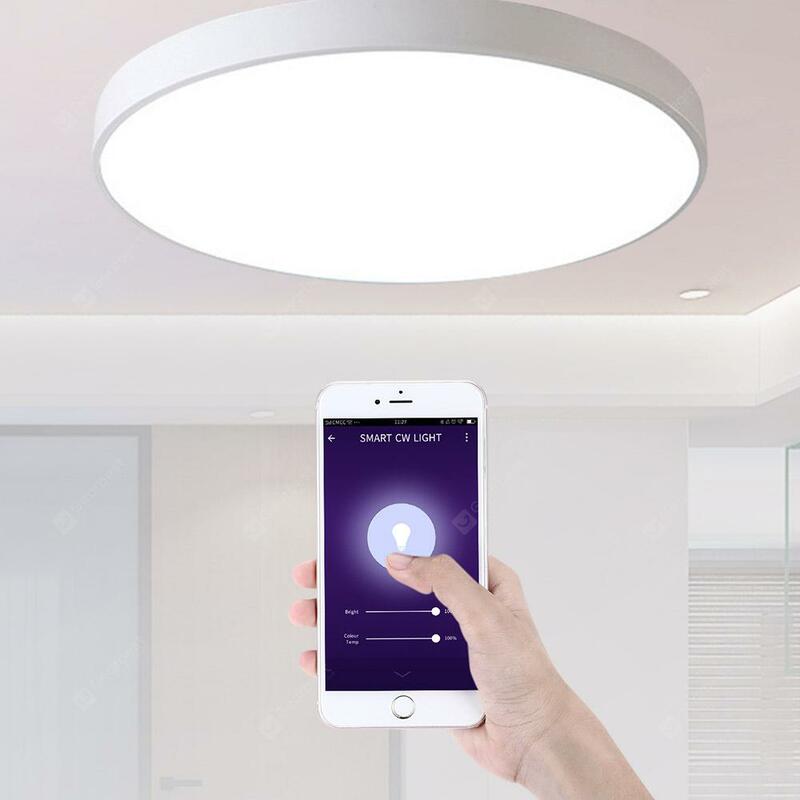 Więcej informacji o produkcie: Utorch smart voice control LED ceiling light works with Amazon Alexa and Google Home, you can control it with your voice or via Smart Life App and Wi-Fi, does not require a hub or the purchase of any additional hardware. You can adjust the brightness with stepless dimming or 3 color ( white, warm white, yellow ) dimming, create different atmosphere for bedrooms, classrooms, dining rooms, hotels, etc. This is a smart LED ceiling light for a modern lifestyle. The simple and thinner design leaves you with more spaces. Get this ceiling light and enjoy the beautiful home / office with soft lighting.